A few weeks ago, a group of us gathered at Pimenton on Mt. 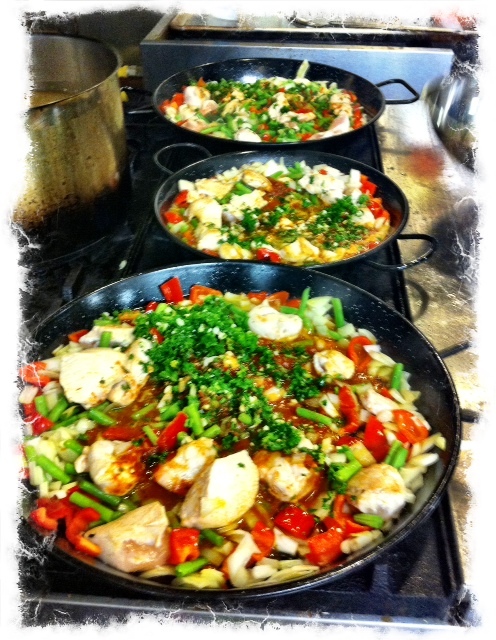 Pleasant, for a delightful evening of tapas & Paella making by the always charming and handsome Jose Arato. Jose, a former accountant turned pastry chef, who bought Pimenton a year ago and under the careful eye & guidance of former owner, the late Lola Csullog-Fernandez, he learned all the tips & tricks of mastering the art of traditional Paella. 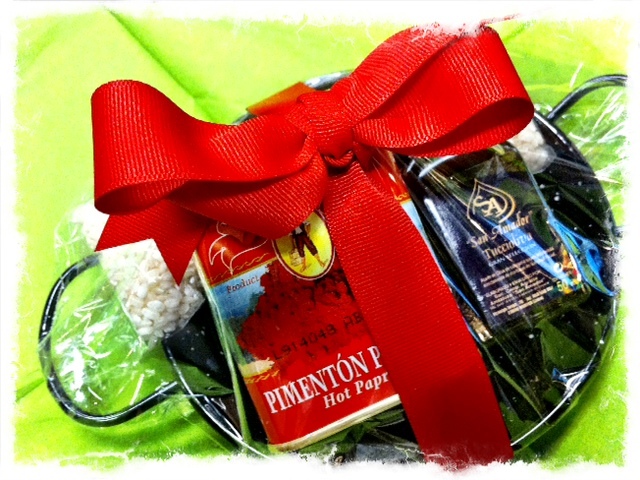 For those of you who’ve never been, Pimenton is a Spanish and Mediterranean store. 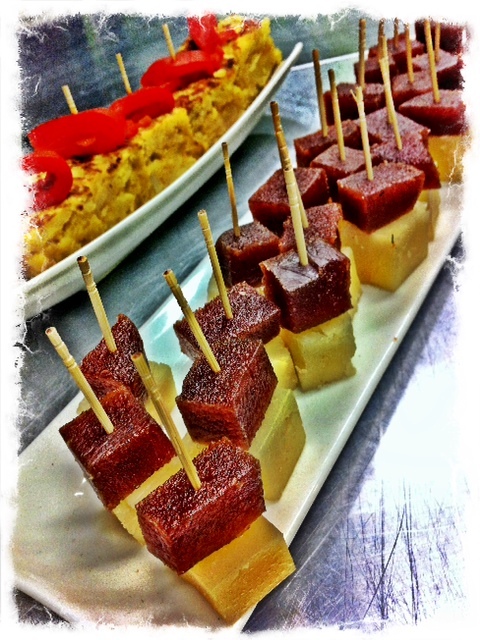 Jose offers cooking classes, catering, house made gluten free products & delicious Mediterranean food to go. Among other things, Pimenton has a great selection of beautiful olive oils, as well as a large variety of one of my most favourite spices, smoked paprika. 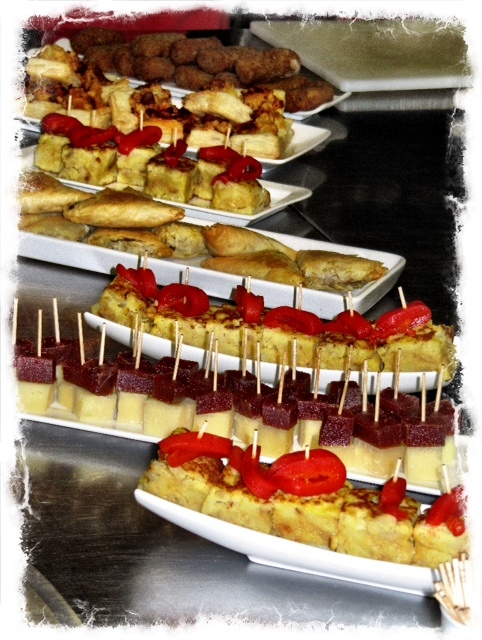 Once all the food bloggers arrived, we were treated to delicious tapas prepared by Jose & his assistant Laura. Once we had whetted our appetites with some treats, the class began. 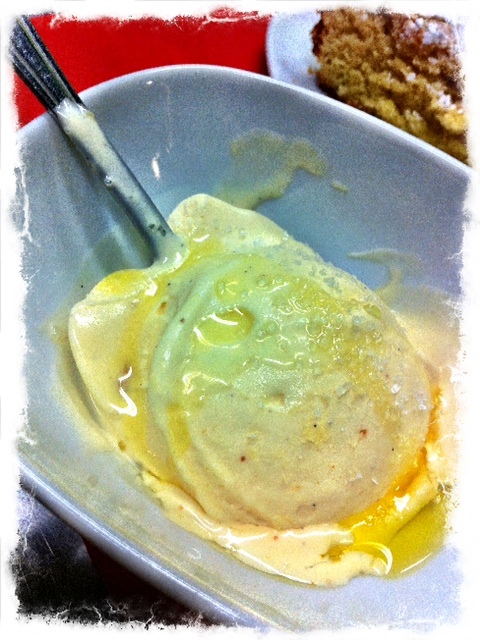 Jose started out by explaining and preparing our dessert, Turrón Ice Cream. I have to say I was extremely excited about this ice cream. 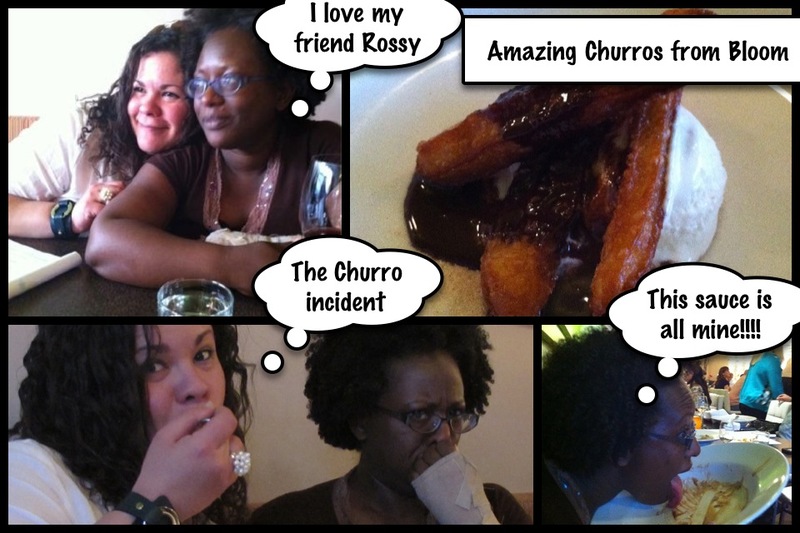 I know, me excited about food… what a shocker. I grew up with Turrón, we ate it at Christmas time every year. There are several types but the 2 best known ones are Turrón de Alicante (this is the hard one) and Turrón de Jijona (soft nougat), my favourite. With the ice cream out of the way and chilling in the freezer, Jose got right down to business and assigned everyone with different jobs, aprons, cutting boards & knives. Eating Paella in Panama, where I am originally from, as well as other Spanish foods is to me like eating meat & potatoes is to North Americans. Also, my maternal grandmother was from northern Spain, from Cataluña, to be precise and she cooked all the time. So needless to say I was very much looking forward to this class. 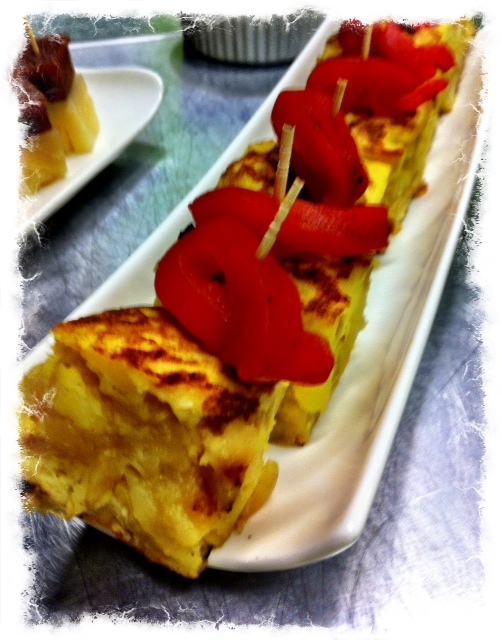 The first thing we prepared was an Escalivada, this is a traditional Catalan side dish. 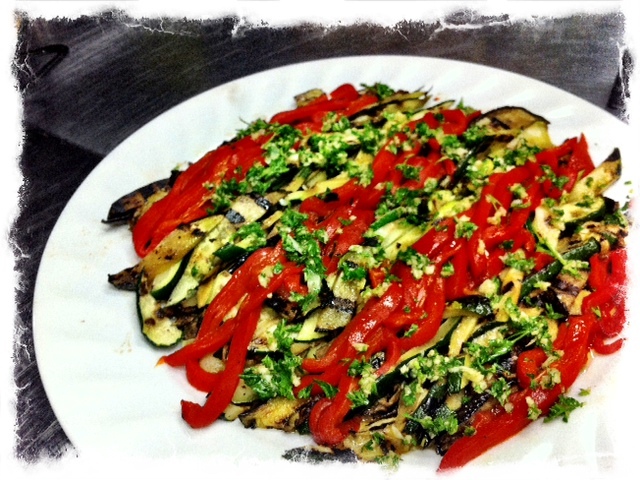 The name of this dish comes from the Catalan word escalivar, meaning “to roast over ashes or embers,” it is traditional to cook the peppers, eggplant, zucchini etc over a flame. The dish is then dressed with lots of garlic, parsley, lemon & olive oil. And now for the dish of the night, Paella. 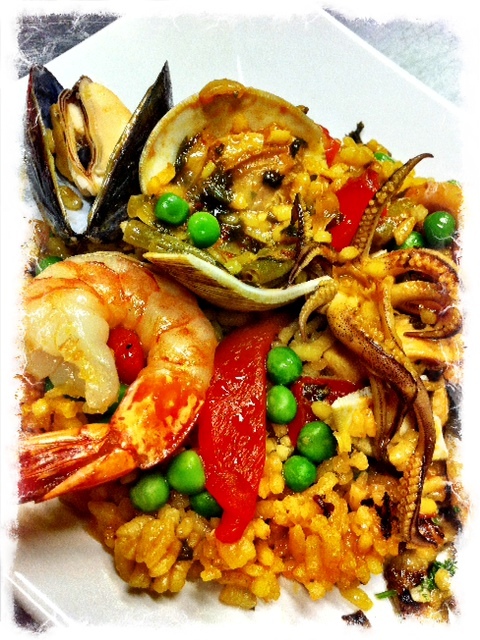 Paella is originally a dish from Valencia, Spain. There are several versions of this dish with the most widely known one being the Paella Valenciana, also Paella de Mariscos (Seafood) & Paella Mixta (Mixed). Some of the key ingredients are a good quality olive oil, Saffron and Bomba or Calasparra rice. The type of rice is very important in Paella making, Bomba & Calasparra are both grown in Spain in a manner that produces a harder grain, which carries less moisture than regular rice, in turn making it able to absorb more broth while retaining its integrity. Jose knows this very well so we used Bomba rice. Jose had three “Paelleras” ready on the stove. These are specially crafted shallow pans for cooking Paella. Then the real fun began, there were people furiously cutting vegetables, dicing chicken, cleaning mussels & clams, chopping garlic & getting all the ingredients ready. We all moved over to the kitchen at the back of the store to watch as Jose carefully added all the ingredients in the proper order to ensure a successful dish. The aromas coming from the stove were intoxicating! 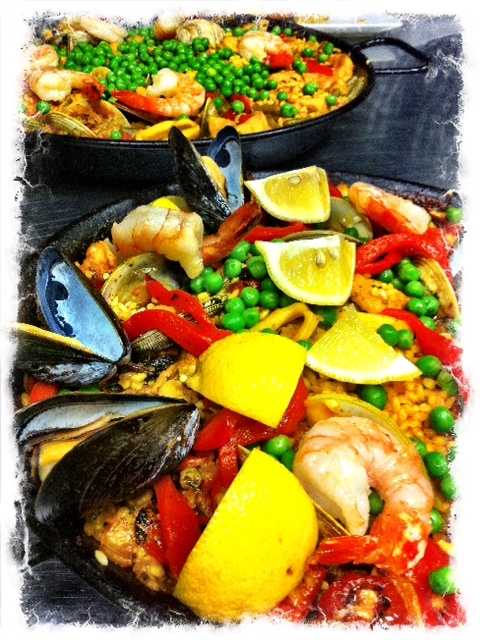 We accompanied our meal of Escalivada, Chicken & Seafood Paella with delicious Sangria. Ending our amazing meal with the Turrón ice Cream & some of Jose’s signature gluten free desserts, Tarta de Santiago, an almond torte. To top it all, Jose gifted each one of us with a small Paellera, smoked paprika & serious high quality olive oil. The entire evening & class were a huge success. 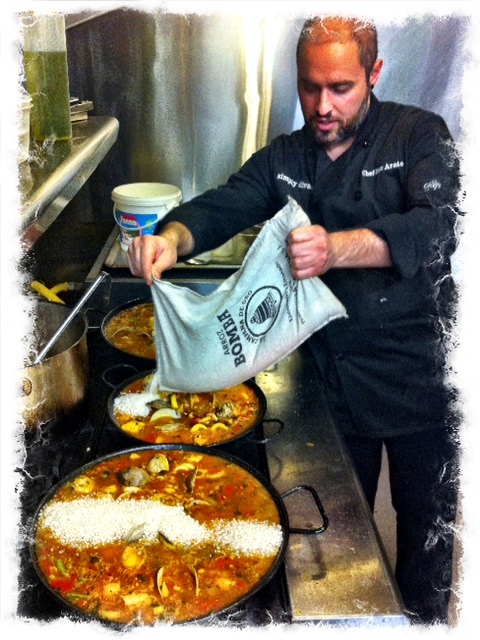 Jose Arato is a natural as an instructor and he knows his Paella. Do yourself a favour, if you’ve never been to Pimenton, you should. Book a class, go and browse the great selection of products, buy some ready to go delicious Spanish & Mediterranean food, sample some of Jose’s gluten free desserts… just go! You won’t regret it. This event was organized by Mary Luz Mejia & Mario Stojanac of Sizzling Communications, who as always, did a bang up job. 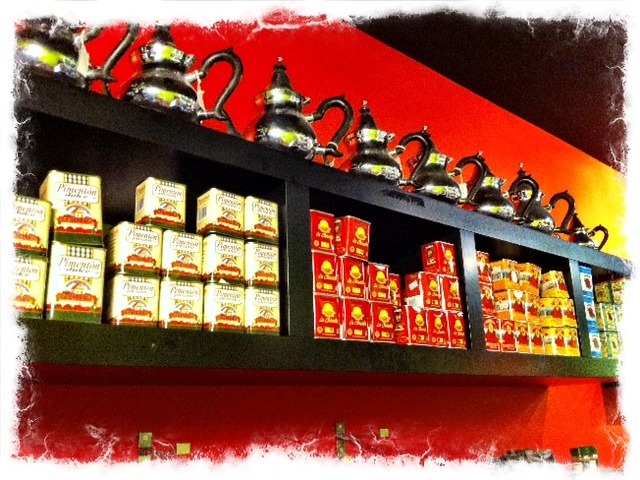 Pimenton is located at 681 Mount Pleasant Rd Toronto, Ontario. Posted in Eating Out. Bookmark the permalink. I had the pleasure of attending one of these dinners in Stratford last winter thanks to Mary Luz Mejia of Sizzling Communications. So when I received notice of this year’s culinary guests Chefs at The Stratford Chefs School, I jumped at the chance to go sample delicious Italian fare & also chat and break bread again with the lovely Kimberley Payne, the school’s executive director. This particular dinner was brought to us all the way from Tuscany by Chef Paolo Lopriore of Il Canto, the highly touted restaurant in the 5 star Hotel Certosa di Maggiano, near Sienna, Italy. 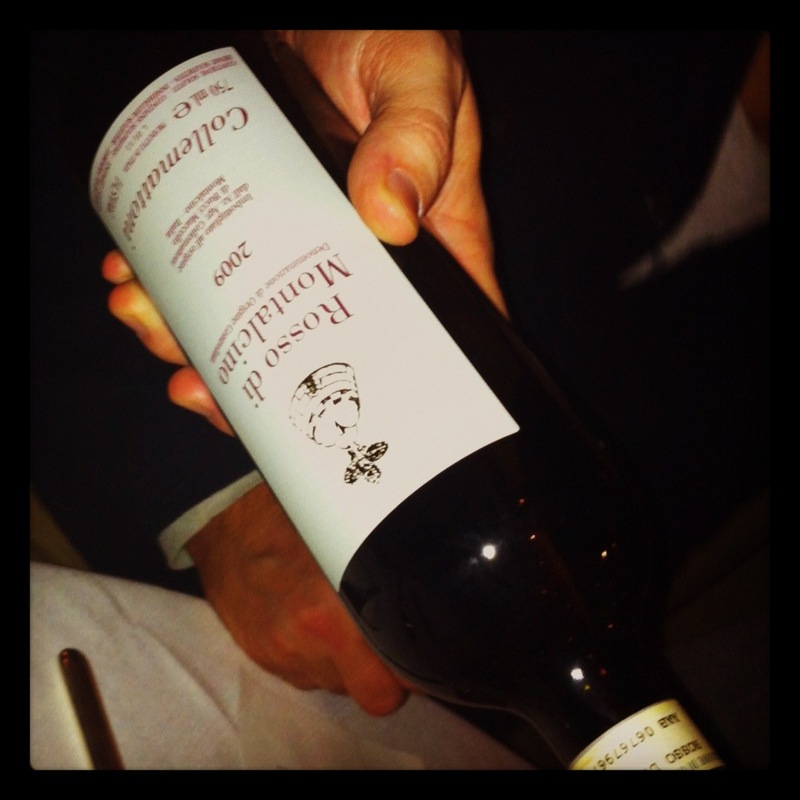 Il Canto is considered one of the best restaurants in Italy and has been awarded with the “Three Forks” title by The Gambero Rosso Guide. 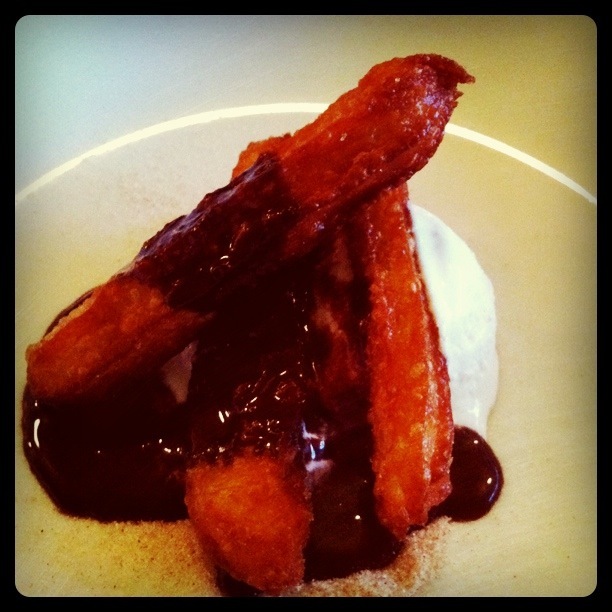 It also ranks #39 in the S. Pellegrino World’s 50 Best Restaurants 2011. Chef Loprieri’s love of cooking was instilled by his mother who also taught him the value of fresh, local & seasonal ingredients. His talent caught the attention of Gualtiero Marchesi, under whom Chef Lopriore honed his craft in Milan, Florence, then in France and Oslo. 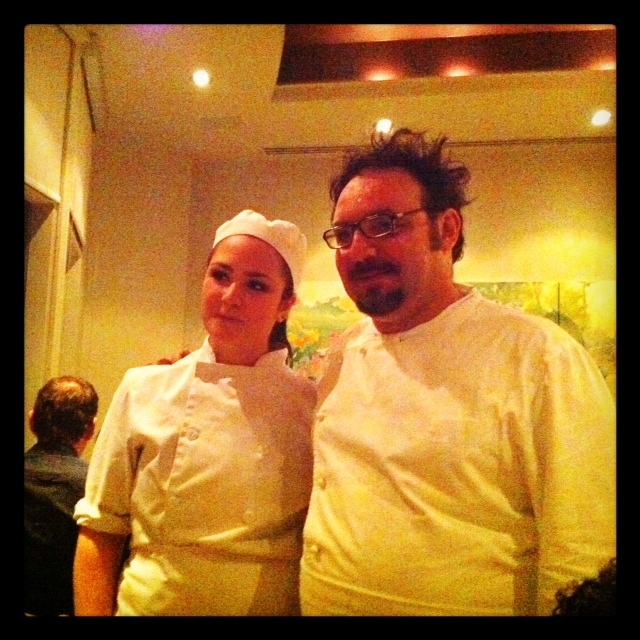 His non-traditional style of Italian cooking eventually landed him the head of the kitchen at Il Canto. So, without further ado and with three other food loving road trip companions, I headed out for the 2 hr drive to Stratford. Made longer by both bad weather & rush hour traffic, we were all starving and kept making it worse by talking about food pretty much the entire drive. I was almost desperate enough to eat stale crackers found in my van… I think someone offered me a mint and there were some fast food jokes inserted here & there. We finally made it to The Prune Restaurant where most of the dinners are hosted. I love going there. It has such a serene, calming & elegant atmosphere. And the student servers always make you feel very welcomed. I will apologize in advance for the quality of my photos, since I forgot my camera at home and was armed only with my trusty iPhone. 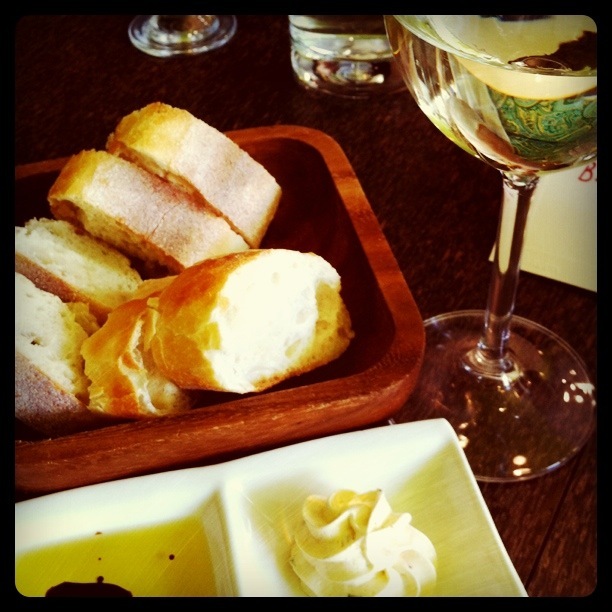 Our dinner started with handmade breadsticks, crusty Italian rolls & whipped butter. 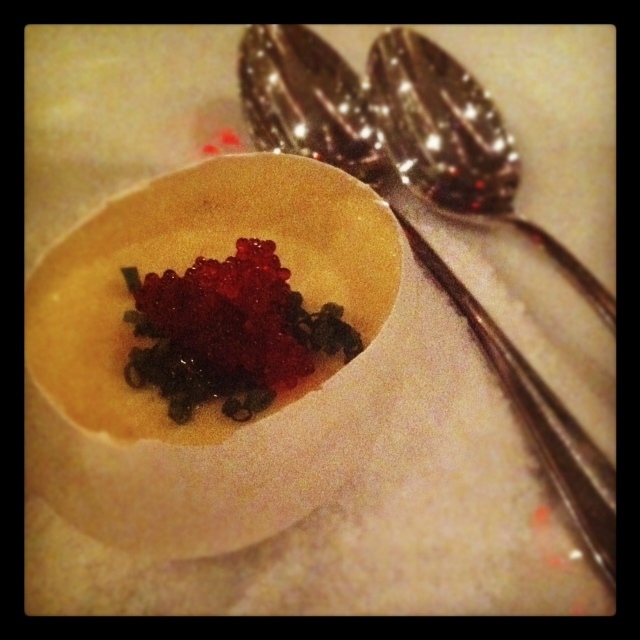 We were poured Prosecco and then as an amuse bouche, we were served a silky and most delicate egg custard I have ever had. 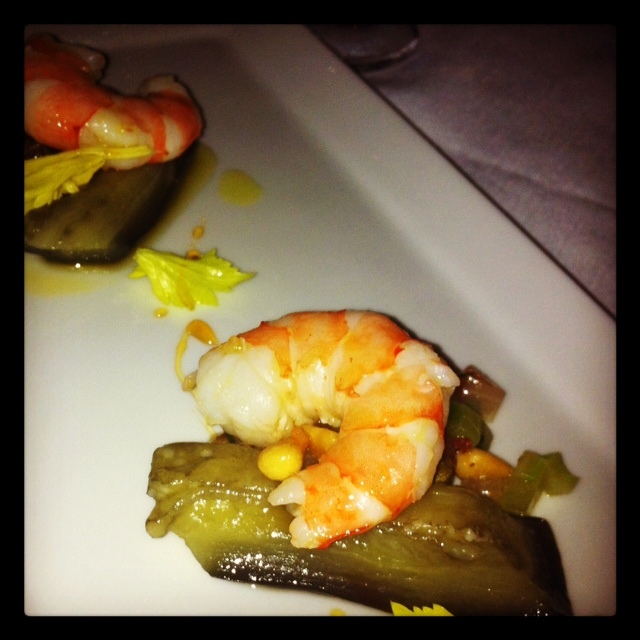 That was followed by a Sweet and Sour Eggplant Caponata with Shrimp. 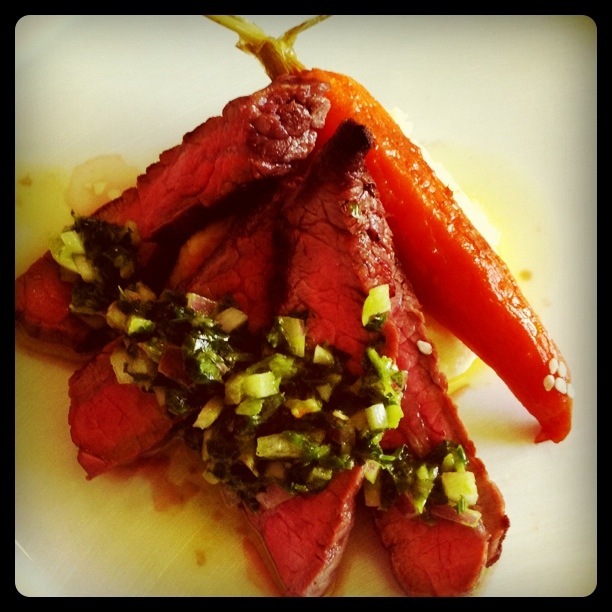 A very simple and subtle yet flavourful dish. Next course was probably my favourite of the night. 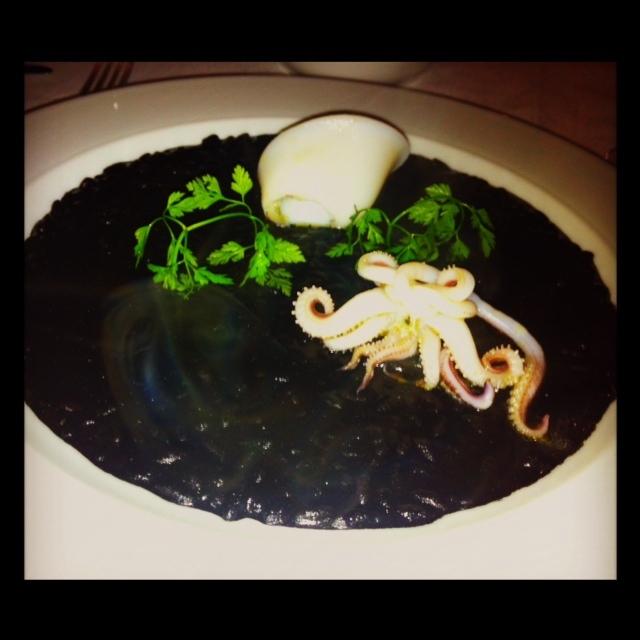 A rich, dark Squid Ink Risotto. 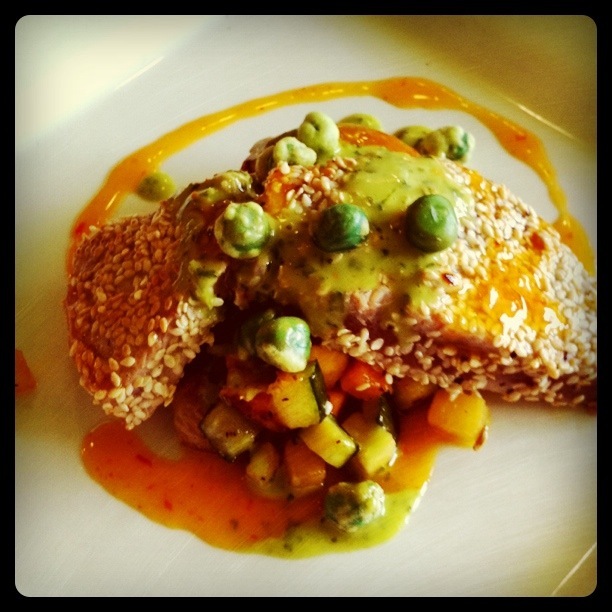 I loved the colour, the texture, the flavour of this…I could have eaten more of that for sure. It was heavenly. If the risotto was my favourite, the following dish was a close second. 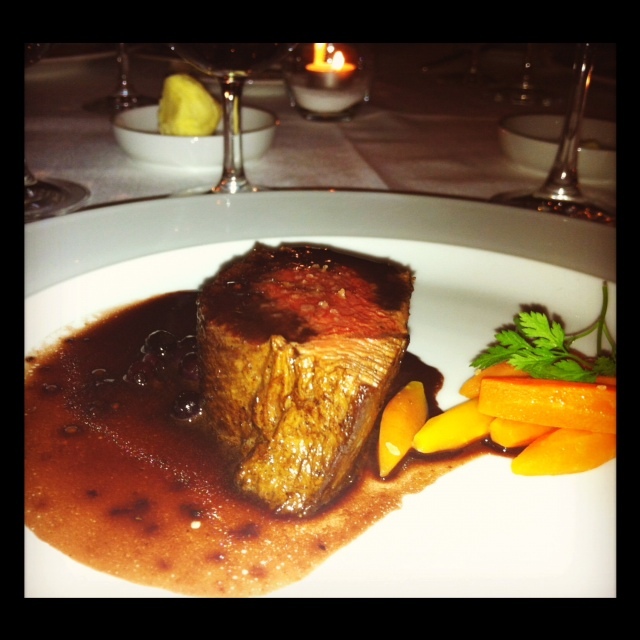 The most tender, melt in your mouth piece of seared Venison with Blueberry sauce. This is where local met Italian as this could have easily been a dish served as Canadian food. The sauce was rich without being overwhelming and was a suitable accompaniment to the venison. 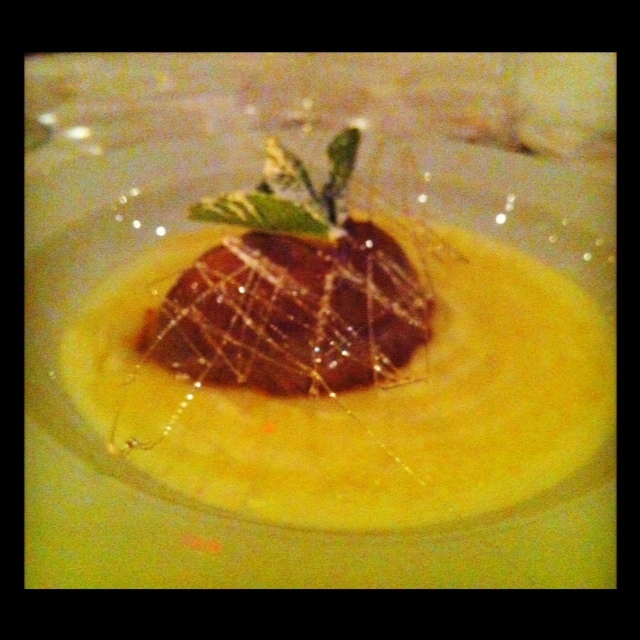 Dessert was a very refreshing Lemon Pudding with Honey & a creamy coffee “quenelle”. 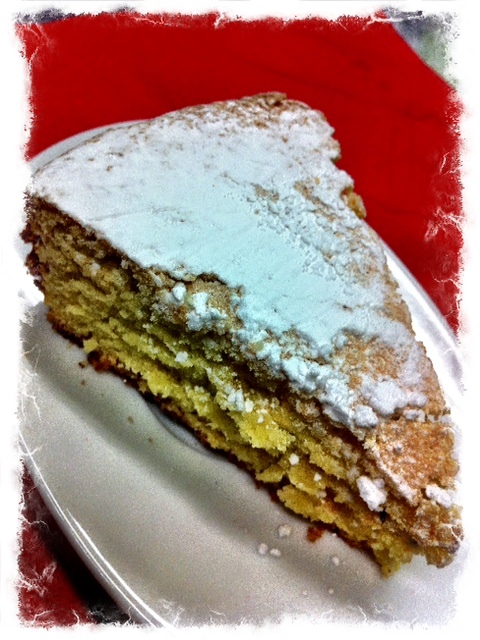 This dessert wasn’t sweet at all; it was tangy and perhaps a bit overpowering for some. But the combination worked very well for my palate. 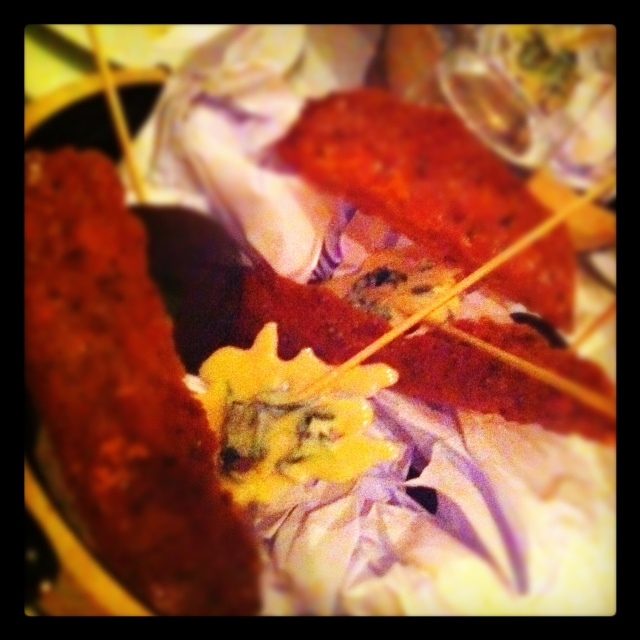 Our lovely dinner ended with crispy Pistachio Tuiles, dark chocolate mint and white chocolate tarragon lollipops. All courses were served with perfectly paired wines. Chefs in Residence are assisted in the preparation & execution of their menus by the students but each guest chef has a main Student Chef assistant. 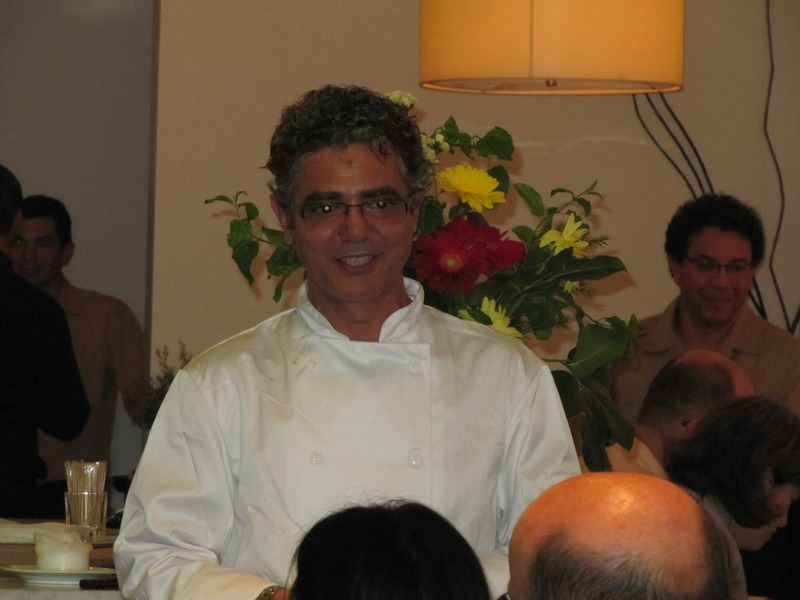 Chef Lopriore’s was Beja Cassiano. My hat goes out to the Stratford Chefs School for always keeping their students so in touch with world cuisine, instilling respect in the craft of foreign chefs as well as our own. Once again, big thanks to Mary Luz Mejia from Sizzling Communications, The Prune Restaurant, the students, Kimberley Payne, executive director and Eleanor Kane, co-founder of The Stratford Chefs School. A much quicker drive back to Toronto feeling well fed and happy after a stimulating evening of laughs, great conversation and of course, amazing food. Back in the Spring I was invited by my friend Mary Luz Mejia of Sizzling Communications to attend a new menu launch dinner at Bloom Restaurant in the Bloor West Village area in Toronto. I have to say I am not very familiar with the area & was not sure what to expect. Little did I know that I was going to be treated to a feast of Latin flavours reminiscent of the foods that I grew up with and absolutely love! I arrived with foodie blogger/photographer Bev Wooding and were greeted warmly by Mary Luz, her husband & partner Mario Stojanac and Franca Luele, one of Bloom’s owners. As we sat, I took in the restaurant’s atmosphere which was bright and fresh with lots of natural light. We were offered a choice of Traditional Cuban Mojito or a Blooming Bud which was a blend of Prosecco & raspberry, that’s the one I had. Quite refreshing on a hot day. 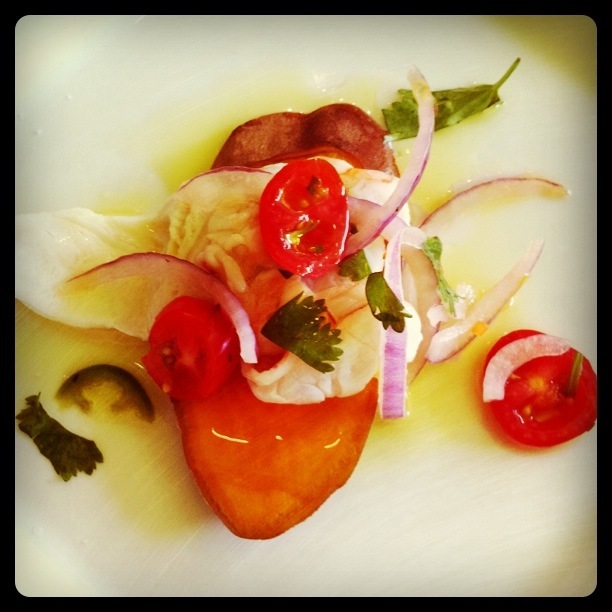 We were then introduced to Cuban born Chef, Pedro Quintanilla, who took over the kitchen at Bloom in April 2011 and came up with the Spring menu we were about to taste. Since the menu consisted of two choices per course, Bev and I decided to order one of each and share. That way we both got the chance to sample all dishes which by the way, were all paired with lovely wines from Malivoire. 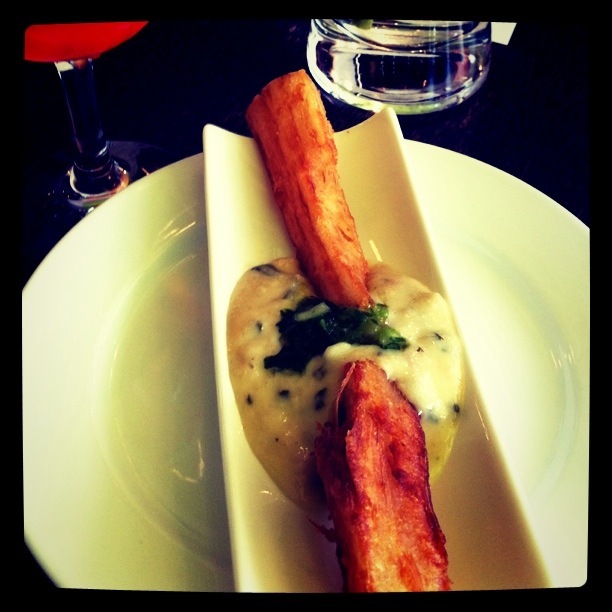 Although all the dishes were delicious, some of them pleasantly stayed on my palate & memory more than others. The cassava frites, the ceviche, the flank steak all reminded me of meals I had in Panama, of my culture, my Latin heritage. Chef Quintanilla’s style of cooking was a trip down memory lane to my years in Panama, which is where I was born & raised until I came to Canada in 1987. 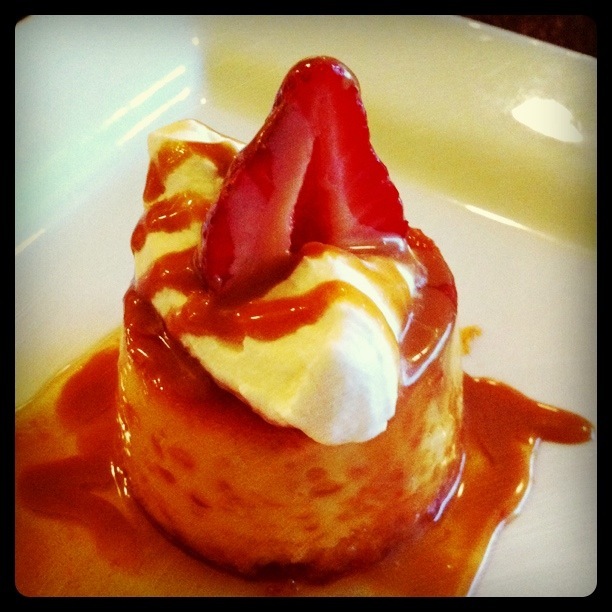 It evoked thoughts of meals enjoyed with family & friends… of home. And for that I am thankful. So glad to know Latin cuisine is represented alive & well in Toronto. Breakfast at home is serious business. My mom has always made a big effort to create a delicious morning experience in our house. I love visiting Panama because my mom goes all out when I am there. She makes all the foods and things that she knows I love. And that means frituras or fried things. Delicious crispy, fatty items made from a variety of doughs, usually based on corn, flour cassava, taro, eddo & other starches. 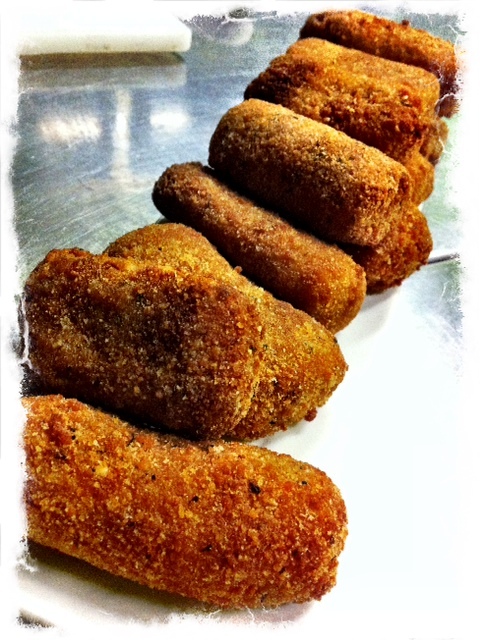 They are usually stuffed and made into several types of fried foods. Empanadas de Harina – Buttery flaky pastry pockets stuffed with an assortment of fillings such as cheese, beef, chicken. Hojaldras – Flour dough, can be sweet or savoury, drizzled with sauces, syrups, dusted with sugar & cinnamon. Bollos de Coco – Same as the corn ones but with coconut added. Tortillas de Maíz- Yellow or white corn dough formed into patties then deep fried to crunchy goodness. Among others…. Aaaand now I’m hungry! 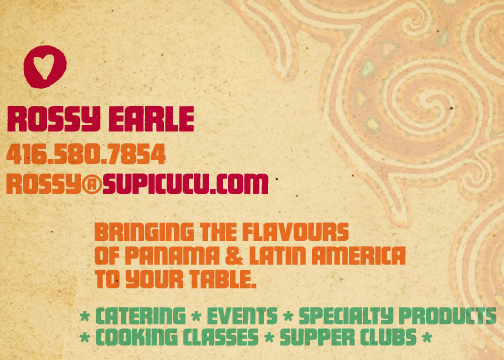 I’m a Panamanian Chef in Canada. I cook food, crave food, lust after food, and dream about food. I shop for food, scour store shelves for unusual food and love to eat other people’s food (in restaurants, at their house, just not off their plates…unless they’re not looking). “SupiCucu” is a funny word my dad has always used to express when something tasted good, so good there was no ‘real’ word for it so he had to make up a better one. It always made me laugh, and now I bring you Supicucu! Contact me to cater your event, host a supperclub or cooking class or if you’re interested in my (soon to be famous) delicious Diablo’s Fuego & Diabla’s Kiss hot sauces!